The positive movement in AGR is indicative that the telecom is returning to growth, fuelled by a rise in mobile internet penetration. Reliance Jio has leapfrogged Vodafone to become the second-largest telecom operator by revenue market share (RMS) in the country. Jio's disruptive pricing has helped it clock high growth in rural markets, helping it close the gap with market leader Bharti Airtel. 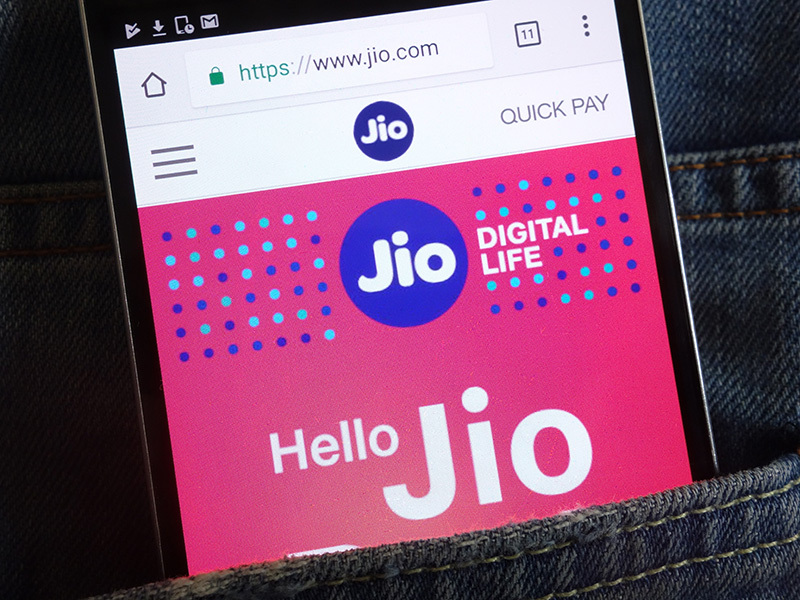 According to financial data collated by TRAI, Jio's RMS has expanded 253 basis points (bps) on-quarter to 22.4 percent at the end of the quarter ended June. The Mukesh Ambani-controlled firm's rise has been meteoric. It has managed to dislodge established peers less than two years since resuming 4G services in the country. Vodafone's RMS declined 175 bps to 19.3 percent, while partner Idea Cellular also ceded 106bps to register RMS of 15.4 percent. Bharti Airtel seems to be holding off a slippage in revenue in the light of the challenge from Jio. Its RMS fell only 12 bps on-quarter, at 31.7 percent. Analysts attributed the slight decrease in RMS to Airtel slashing charges on incoming international calls this quarter. 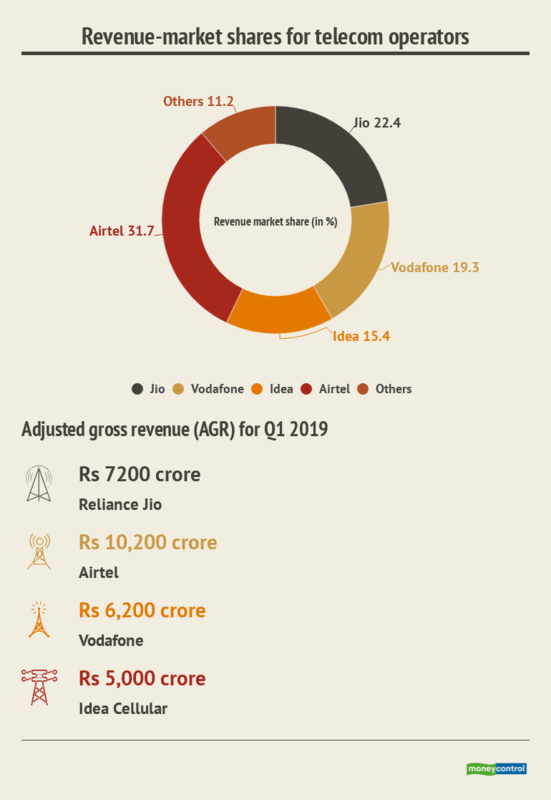 However, Airtel's RMS has rebounded in the second quarter of FY19, according to an analysis of TRAI data undertaken by ICICI Securities. After initially starting out with low-cost tariffs, Jio seems to have turned a corner, and has entered a period of consolidation. Its RMS nearly doubled in Q1, from 11.6 percent to 22.4 percent. After establishing a channel for sustained revenue, Jio has set its sights on Airtel, which has long been the biggest telecom operator in the country. Jio had previously overtaken Idea, but the company has performed strongly in the past quarter as its merger with Vodafone nears fruition. The combined entity will overtake both Airtel and Jio to become the biggest player in the telecom space with an RMS of 35 percent. The price war launched by Jio has led to attrition of customers from both Idea and Vodafone. The duo is awaiting a final clearance from the company law tribunal to formally complete the merger, which has overshot its June-end estimate. Analysts at ICICI Securities noted that Jio's strong performance in the June quarter can be attributed to C-circles where its adjusted gross revenue (AGR) rose 17.2 percent. Revenue from this segment contributed to 17 percent of the company's overall AGR. For telecom companies, AGR is the revenue accrued through licensing services. While Jio might have outperformed larger peers in RMS terms, it still has to catch up in terms of its subscriber base. Jio had over 215 million users at the end of June, making it the fourth biggest telco in terms of active users. Since its inception in September 2016, the nationwide 4G network has clocked over 14 percent sequential increase in overall AGR to Rs 7,200 crore in Q1 FY2019. Airtel's AGR rose 0.9 percent on-quarter to Rs 10,200 crore. This figure is inclusive on 45 days' worth of revenue from Telenor India, which was acquired by Airtel in May. On this count, both Vodafone and Idea have not fared as well, with their AGR falling to 7.1 percent and 5.2 percent respectively. 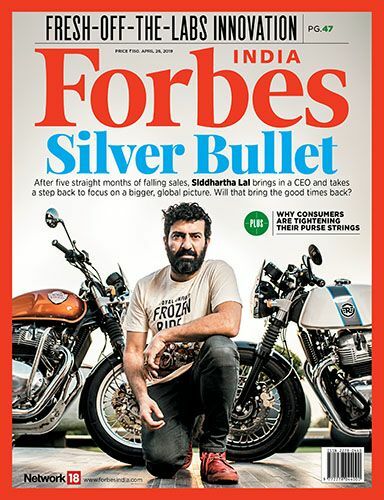 Their combined AGR for Q1 stood at Rs 11,200 crore. On the whole, the AGR of the telecom sector rose 1.3 percent on-quarter to Rs 32,000 crore. Going by the numbers, Reliance Jio has been the major driver of growth in the industry. The positive movement in AGR is indicative that the telecom is returning to growth, fuelled by a rise in mobile internet penetration. Jio faces renewed competition, with incumbent carriers expanding their 4G network to offer greater speed and bandwidth to lure customers.